The IOC is pushing forward with plans to revamp the troubled Olympic bidding process by making it more of an "invitation" rather than an "application" - but the ban remains on member visits to candidate cities. The International Olympic Committee executive board also pressed ahead on Thursday with proposals to make the sports program more flexible - including the possibility of adding baseball and softball to the 2020 Tokyo Games - and backed plans to set up an Olympic television channel. The issues were debated at a two-day meeting in Montreux, Switzerland, where the board finalised proposals that will be put to a vote by the full IOC membership in Monaco from December 8-9. 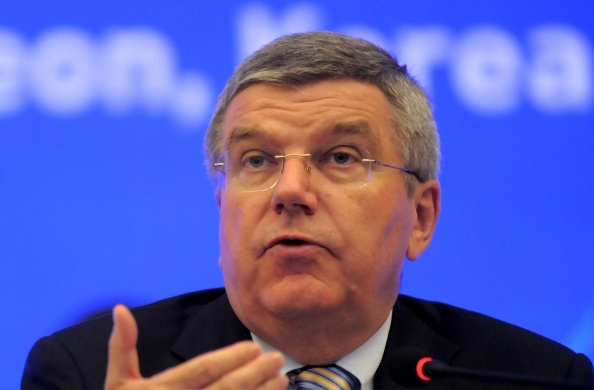 The package of reforms form the core of IOC president Thomas Bach's "Olympic Agenda 2020," his blueprint for the future of the Olympic movement. A possible reinstatement of visits was discussed by the executive board as part of Bach's agenda. While he declined to give specifics of recommendations on other matters before informing IOC members, Bach directly ruled out a return of visits. Bach was less clear on possible changes to the IOC's 70-year age limit for members, also enacted following the Salt Lake scandal. He said only "there will be some recommendations" about the structure and membership of the IOC. A total of 40 recommendations will be put to the assembly in Monaco. Other proposals will add "more flexibility" to the Olympics sports program. Currently, the IOC has a limit of 28 sports and 10,500 athletes for the Summer Games. Bach said specific sports and numbers were not mentioned. He reiterated that there would be flexibility for changes in mutual agreement with organisers of the 2020 Tokyo Games. That includes the option of adding baseball and softball, which were dropped after the 2008 Olympics but are very popular in Japan.